As a top agent for the British Men of Letters, Arthur Ketch was an experienced hunter for the organization, hunting and executing their behalf with impunity. This job required Ketch to be well-versed in weaponry, both standard and mystical. On assignments he would travel with a small weapons arsenal in a simple case. Arthur Ketch can be seen packing a case of weapons in 12.02 Mamma Mia, as he prepares to head to the United States. In addition to the guns, he also has an assortment of knives and other blades. 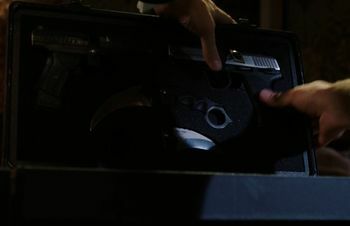 Ketch is cleaning his Heckler & Koch USP .45 with a nickel-plated slide before securing it in the case. Ketch has at least three revolvers, makes and models yet to be identified. 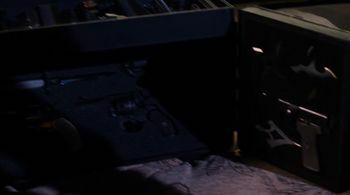 Ketch also has what appears to be a Springfield 1911 .45 in the case. 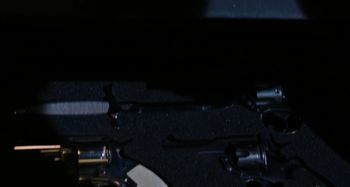 This is the same as, or similar to, the gun Dean uses. 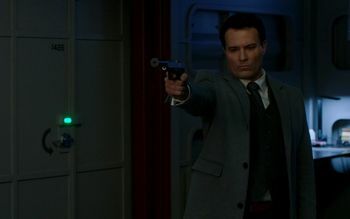 Throughout the twelfth season, Ketch uses multiple guns. His main firearm appears to be the nickel-plated H&K USP .45 caliber. He is seen using it multiple times, including with a silencer. Ketch has attached a silencer to his nickel-plated H&K USP .45. The gun Ketch uses during the firefight in the Men of Letters Bunker is slightly different than his nickel-plated USP. It appears to be an H&K USP .45 Expert. 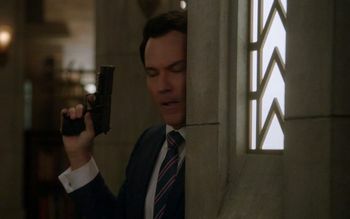 Ketch takes cover behind a bunker wall in 12.21 There's Something About Mary. 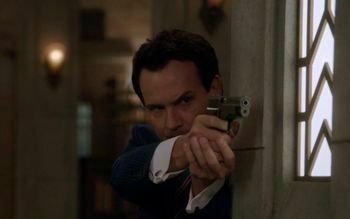 Ketch firing at Sam during the gun fight in the Bunker. When Ketch gets into a fist fight with Dean in 12.22 Who We Are, he pulls a small concealed gun on Dean after he begins to lose the fight. It appears to be a Walther PPK, the gun most famously used by James Bond. 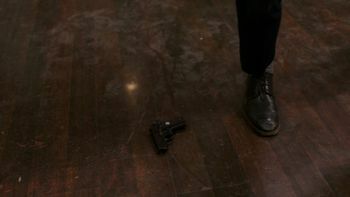 Ketch drops his Walther PPK after being shot by Mary in the shoulder. This page was last edited on 6 January 2019, at 14:57.